I was having my hair cut yesterday, and turned the page to this ad. I don’t know why it annoys me so much, but it really does. Of course, I’m completely used to the airbrushed and gauzy-filtered photos of actresses once they are out of their twenties, selling anti-aging products to women in their sixties. L’Oreal, Dior, Lancome, etc have been doing this since, well, forever. 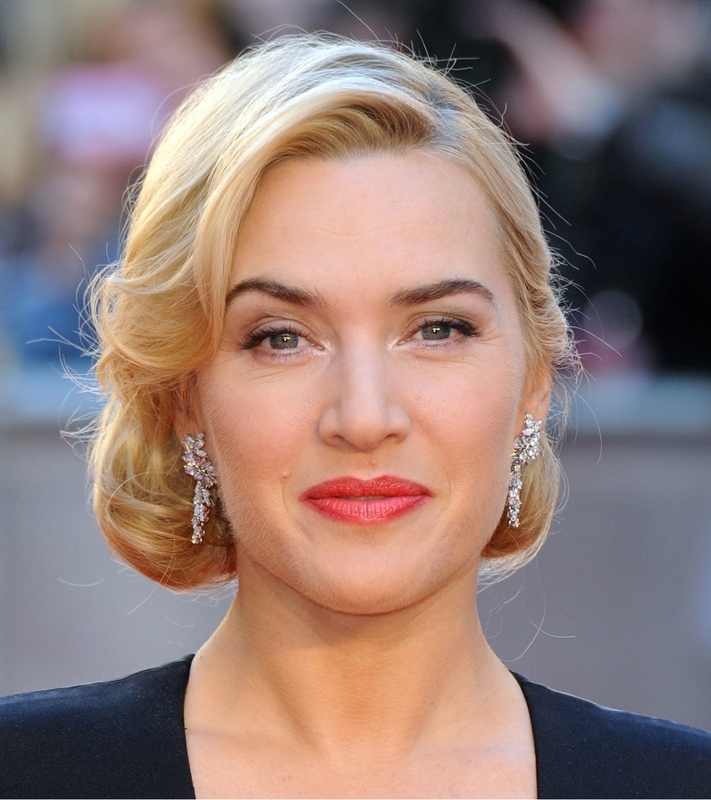 But Kate Winslet (who I adore) is so overly filtered and blurry here. You’ll see what I mean when you have the magazine-sized ad in front of you soon. Even the accompanying slogan annoys me, because it isn’t even trying to be ironic! I found two other recent photos of Kate where she looks REAL, and gorgeous, and confident in her beautiful skin… not airbrushed and filtered beyond recognition. She’s talented, she’s gorgeous, and for heaven’s sakes she isn’t even forty yet, so why all the airbrushing for an ad that is meant to be extolling confidence as beauty? What do you think? Am I unreasonable to expect Kate to look like Kate, or Julia to look like Julia, rather than some anodyne cartoon of themselves? And why are they all touching their faces or necks? Is that a Lancome thing? Argh, so many questions! Great rant, Lisa, all deserved. 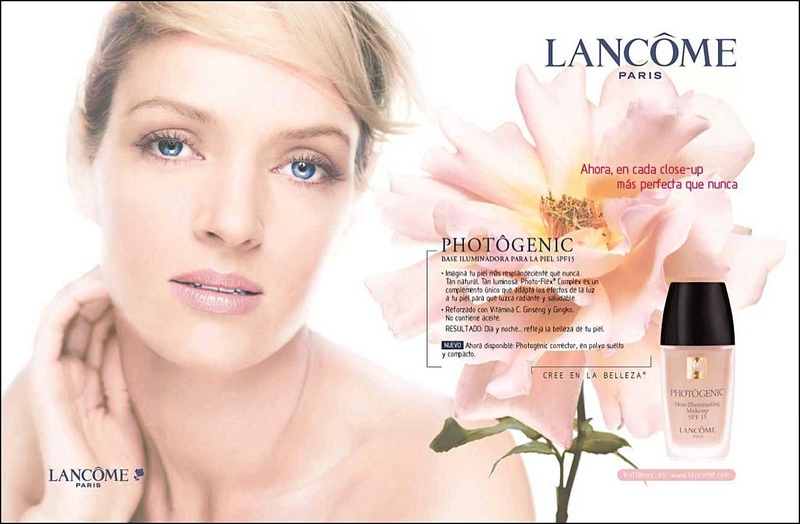 I never knew any of this about Lancôme. I can say it bores me, which is weird because it’s French (is it French?) I just hadn’t considered why I was bored. Thank you, Jan. I also find the ads boring, and dated. There’s nothing fresh or modern about them. I’m very delighted and thankful to find someone who sees manipulated perfection as less desirable than experienced reality. Well put, Vivian. I totally get that makeup and perfume ads are supposed to be dreamy and aspirational, but these are just ridiculous. I couldn’t agree more Lisa. I’m turned by all of the mega cosmetic/skincare companies that populate dept stores. The ‘scientific breakthroughs, research that is powered by the marketing dept, and the ads are an insult to women. Estee Lauder used to use a twenty something fashion fashion model to sell eye gel serum, I no longer pay attention to any of their ads. Thank you, Sharon. Do they think we’ve never taken a science class? That we believe the life-changing faux ‘scientific breakthroughs’? I am totally agree. I have tried one of their make up products (foundation) and made my face looks like a plastic. of course all the pictures in magazine and advertisment are about marketing and for sure is not real. and actually they always encourage you not only buy one product, but to have maximum result then you have another products or you have to consuming the complete products from them. I just got bored with fashion magazines this past year. I was letting my issues of InStyle just pile up on my coffee table unread for months. A magazine filled with this fakeness just wasn’t interesting anymore. I agree, Little Red. As thrilled as I am that 40+ women like Julia Roberts (Givenchy), Joan Didion (Celine), Helen Mirren (Loreal) are becoming more mainstream in advertising, there is still such a load of ridiculously artificial stuff to wade through. Totally agree! Haven’t liked them since they got rid of Isabella Rosellini twenty- plus years ago, and have never liked their fragrances! The idiots responsible for screwing up the photos of these beautiful women should be ashamed of themselves! They sacked Isabella just days before she turned 40. She’s still a bit pissed off about it, from what I read in interviews. I don’t like anything they do, luckily, so staying away from Lancome is easy for me! I believe I read where they rehired Isabella Rosellini now that she is “older”, excuse me, more mature! (which seems to be the rage now) lol I am what I am, don’t have the means for facial enhancements (don’t know if I would, if I could), however, I try to eat healthy, exercise (gardening) and use day and night moisturizer , sun screen and very little makeup. I’m happy from the inside out! I hope Isabella got a stack of money from Lancome after they so unceremoniously dumped her when she turned forty. Ridiculous, isn’t it? Absolutely loved this post Lisa! I also really enjoyed reading the comments…What I’m wondering is why is this plastic, fake image of beauty what works so well? Thank you, Iman. I just don’t know. I love candid shots of celebrities, when they look like real people and not airbrushed plastic versions of themselves. I remember Cindy Crawford saying in an interview that when she met people, they were often disappointed to meet *HER* rather than *Cindy Crawford Incorporated* which they were expecting.